The big day has arrived. Your son or daughter is moving in to his/her dorm room. Heed these tips from experienced parents who've been through this many times. This is especially true if you are flying in or driving in from a distance. This will give you time to and pick up items you may have registered for at stores like Bed Bath & Beyond, pick up items you may have shipped to a local UPS or Fed Ex location, and shop for toiletries and food items. If allowed, avoid the long lines on move in day and pick up your student ID and room key the day before as well. Prepare a box or bag with the essentials you'll need while you're unpacking: scissors, duct tape, markers, basic tools, doorstop, etc. Bring paper towel and spray (or Lysol Wipes) to wipe down the room as needed before unpacking. Arrive at your dorm as early as you're allowed but respect the move-in window specified for you by the college. Some schools don't allow students to select their bed until everyone is there, so in that case coordinate the timing with your roommate. Upon arrival, follow instructions as given by your college and the staff on hand. In many cases, you'll unload all your items, then stay with the goods while a parent goes to park the car. If you have an additional person with you, or student helpers on hand, one of you can stay with your stuff while the other starts carrying things into your room. Wear casual clothing and comfortable shoes. You'll be carting boxes and bags, and going up and down stairs with the masses (don't count on an elevator). It's likely to be hot so plan to get dirty and sweaty. And bring a small cooler of cold water--you'll need it. Prop open your door with a doorstop or small heavy item while you're unpacking so neighbors can stop in and say hello. You'll make friends on day one if you arrive with treats for your hall, like donuts or cookies. If there is no air conditioning, open the windows and plug in the fan to get the air circulating. Your teens should make introductions, take charge of the unpacking, and handle issues as they come up. They may not need for you to stay until every last item is unpacked--let them decide. Some colleges have an event or ceremony for both parents and students on the day after move in, so plan your departure accordingly. Parents, meet your teen's roommate(s) and get their cell numbers in case you ever have trouble reaching your teen. You may wish to exchange numbers with roommates' parents as well. You may find you need to go to Target or Wal-Mart after you unpack, if you've missed a key item, so plan your time accordingly. You may also want to make a stop at the grocery store to fill that mini-fridge with perishables now that it's plugged in. Parents, take any excess items with you when you leave to return them home (or to the store) if they won't fit in the room or aren't needed after all. This is likely to be a stressful day, so the calmer and more patient you can be, the better for all. This is not the time for lectures and warnings as you walk out the door. And save the tears for AFTER you leave. Don't forget to take a few photos, and plan to send a care package a few weeks after move in. 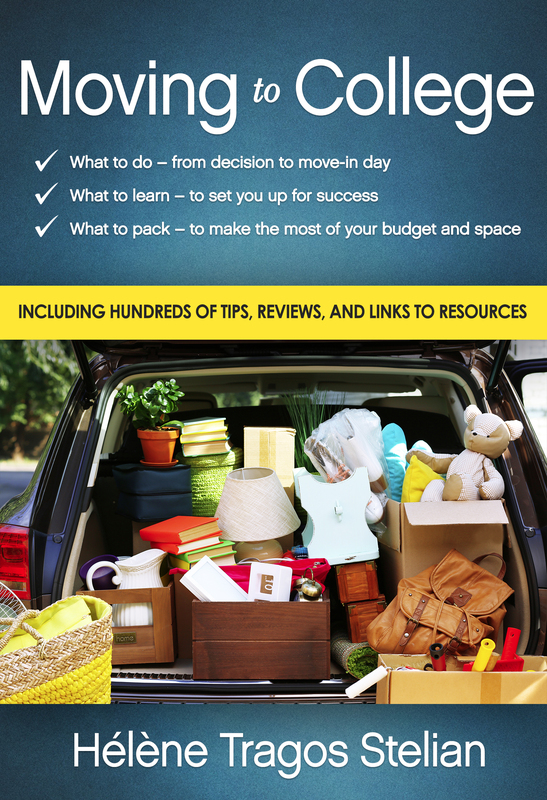 For more, check out Moving to College: What to Do, What to Learn, What to Pack.